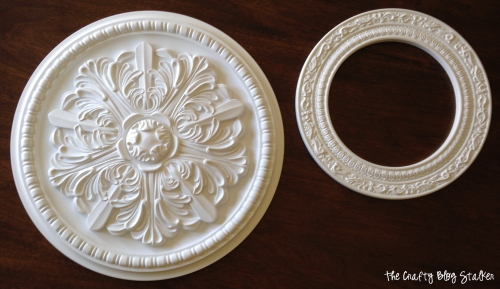 Painted ceiling medallions add design and unique wall decor for your home. 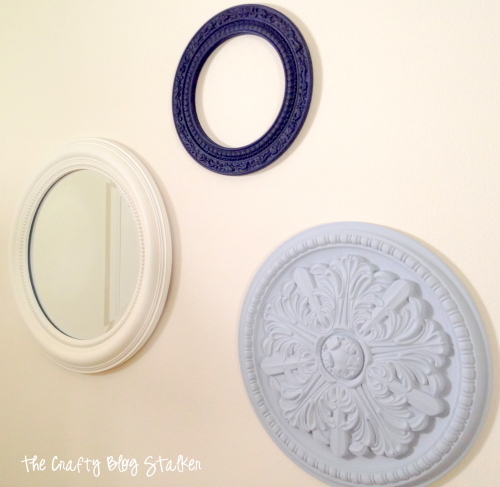 A simple DIY craft tutorial idea to add style to your home decor. 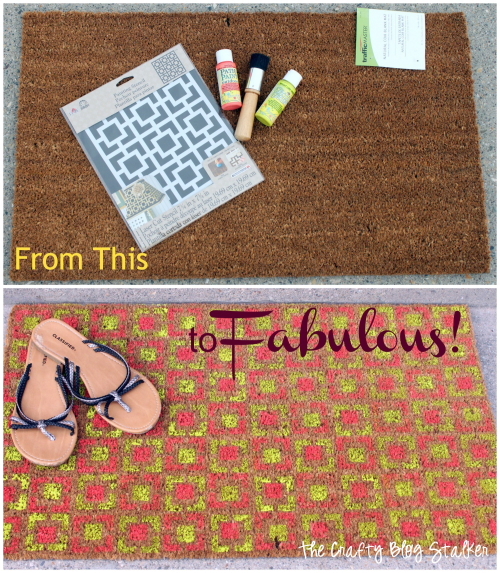 I saw this idea a while ago and I knew it was a perfect DIY for my blog and my home. Ceiling Medallions are beautiful, but I decided to change them up a bit with paint and hang them on the wall as art instead of on the ceiling framing a light fixture. 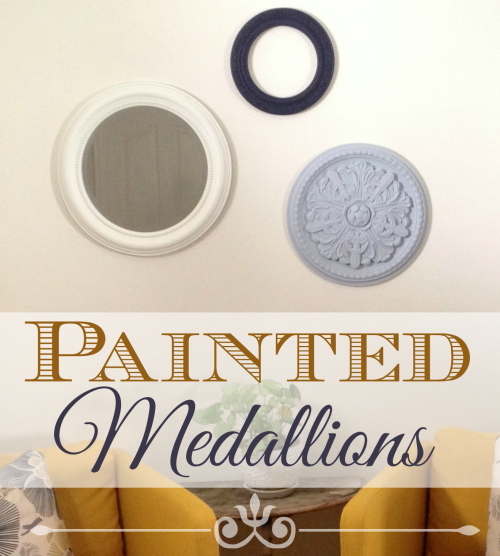 The medallions are super lightweight so they are perfect to hang on the wall. I am not exactly sure what they are made of, but they are sturdy, lightweight and paintable. This is how they looked right out of the box. 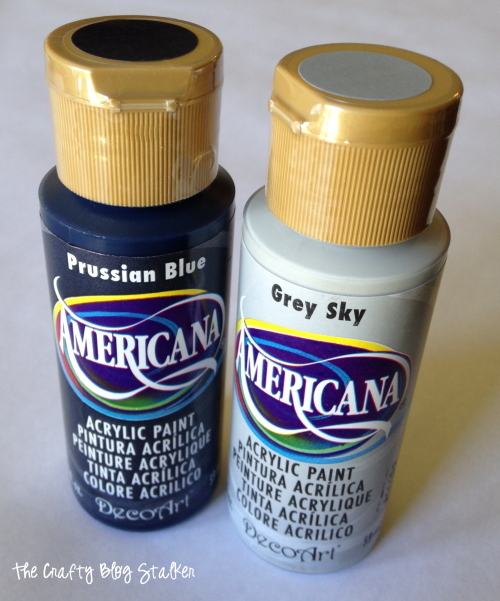 I chose simple American Acrylic Paint in the colors I want for my room. I was going to use a sponge brush but decided to go with a paint brush to really help me get in all of the nooks and crannies. I put two coats on each piece to hide the brush marks and get a good solid coat. 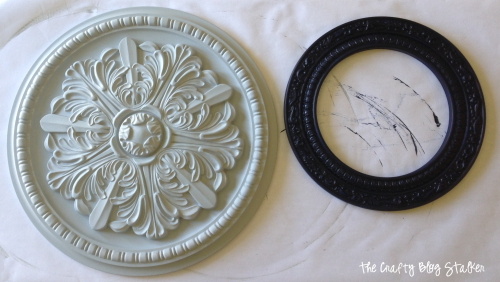 The medallions are very easy to paint, you just really want to make sure that you cover it well with paint and don’t miss any spots. Here are the medallions all painted. Aren’t they pretty already? Hung them on the wall using command strips. They are super light so light they will stay no problem. 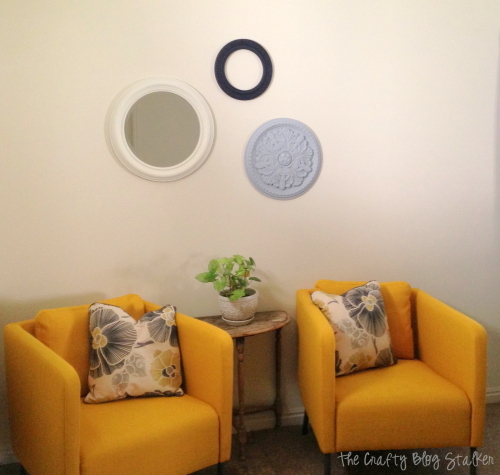 I also matched them with a circle mirror that I purchased at Hobby Lobby. The whole look came together very nicely and I love how it looks! Plus they compliment the furniture that I have in the room too. I love it when pieces come together to help make a room feel more complete. 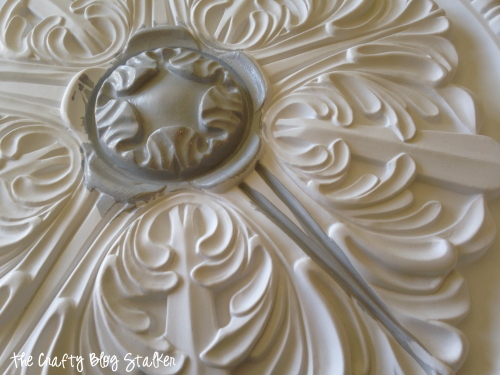 Do you have a favorite piece of home decor that you DIY’d? What is it? Share and leave a comment below! Super cute! Love the colors and love the whole little set up with the chairs! Thanks for sharing! I have several Pins with medallions as wall art. I want to do something similar in my guest room but can’t justify the prices of them. I’ve been keeping an eye out for second hand ones but still haven’t found any. I really like the colours you used. Those are beautiful! I’ve been looking for an easy way to decorate one of the walls in my guest room. This looks perfect! Pinning for later. Thanks for sharing! Love the colors! Thanks for sharing with us at the Merry Monday Link Party! Looks very stylish! Thanks for idea! You did a fantastic job. 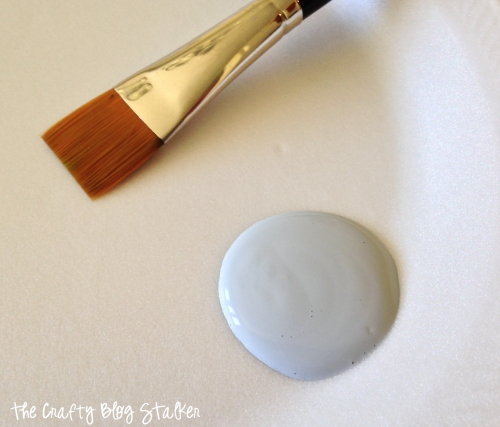 My advice is to use small paint brushes. You can reach every little spot with them. Hope I was useful. Greetings! Thanks for sharing your post today on Mommy Moments. Thank you Bryce! I am glad that you like them. I love this! We are in the process of buying a house, so I’m keeping my eyes open for some ways to decorate, and this is perfect for the style we are going for! Thanks for sharing! How exciting Meredith! House hunting is so fun! Best of luck! These turned out great. I love the colors, too! Thanks for sharing your project with us at Funtastic Friday. Thanks Sherry! Every time I walk by the medallions I can’t help but smile and admire them.